We're taking back tomorrow through our partnership with you, our extensive recovery teams, and with our highly sophisticated world class technology. Tracker units will not interfere with the complex electronics found in modern vehicles, such as the vehicle's electronic management system, on board computers and mission critical (safety) computers, due to the fact that the technology has been tested around the globe for electromagnetic compatibility by reputable institutions such as the European Telecomunications Standards Institute (ETSI). 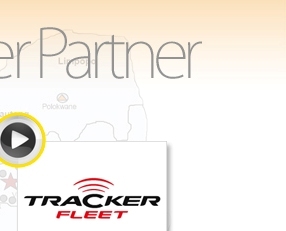 All Tracker installations and hardware are guaranteed for a year. The European Telecommunications Standards Institute (ETSI) is a standards body that specifies the performance of radio equipment to be used in land mobile services. The standards are chosen to ensure an acceptable grade of service and to minimise harmful interference with other equipment and services.